is bedded at an angle to provide downward tension on the front band to control barrel harmonics. The fit of the receiver and trigger group in the stock is adjusted to provide resistance when the trigger guard is latched. The stock is routed for epoxy and in stocks with a steel liner the liner may require modification. Handguards may need to be adjusted. 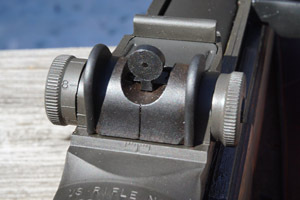 On Garands, the front handguard must be secured to the lower band. Properly fitting the stock will increase the accuracy of most service rifles to a greater degree than any other single modification. As service rifle barrels are fired thousands of rounds hot gases erode the chamber throat and bullets must travel farther before engaging the rifling. 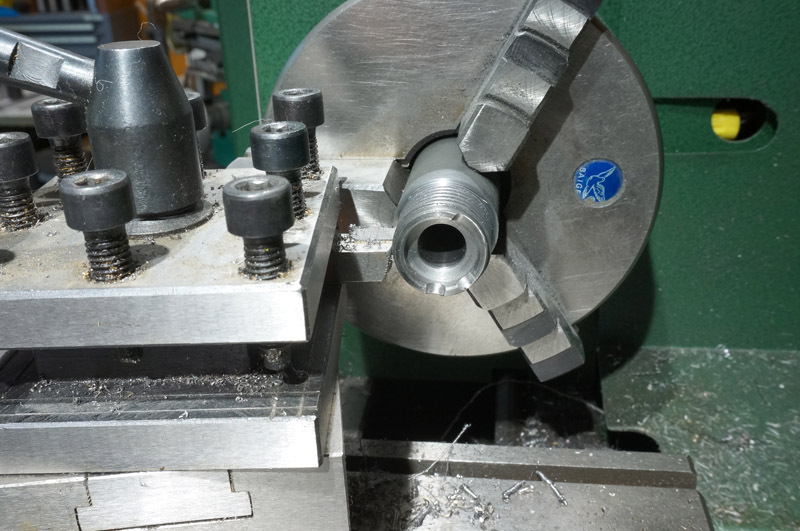 On a bolt gun the chamber end of the barrel can be shortened and a new chamber cut to renew the throat. M14 barrels must be replaced when they burn out. Rebarrelling is a common task here at Angus Arms and we can provide barrels in various weights and lengths to suit your needs. 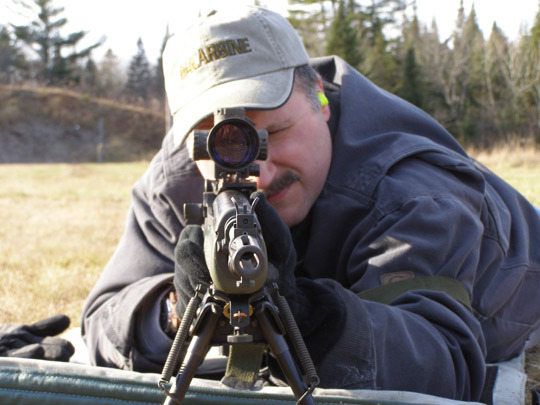 Iron sights are available in standard issue configuration (1 MOA) or National Match (1/2 MOA). Our shop can also install a variety of scope mounts if you prefer optics. M1/M14 triggers can be adjusted safely to 4-1/2 pounds with minimum creep. Trigger work includes replacement of worn pins and springs. The standard M14 gas system can be “unitized” to provide consistent tension between the front band and the stock ferrule. The front band is permanently attached to the gas cylinder through welding or screws. 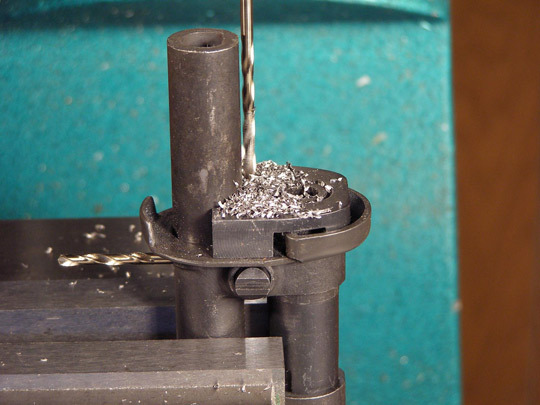 At Angus Arms we use the old AMU “glue and screw” method of unitizing. Welding is quicker but sometimes leaves a tight spot in the cylinder bore. This service is highly recommended for rifles being bedded.